Our Wine & Dine weekend is the ultimate romantic escape. Take the opportunity to relax, unwind and truly get to know each other again. 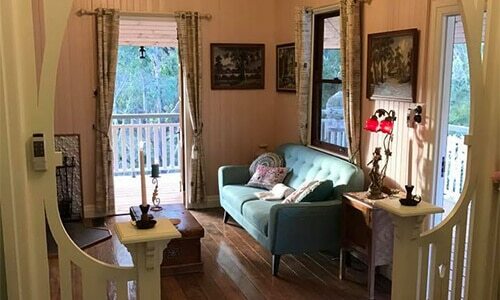 Package is available for Lakeside Bungalow, Hill Station or Florries Cottage. Minimum 2-night stay. 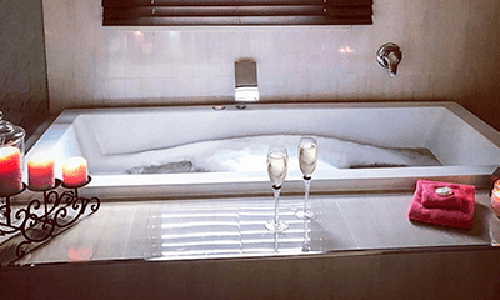 Add $230.00 to your accommodation cost to enjoy these romantic Wine & Dine Package extras during your stay. Our Midweek Escape is the perfect way to rejuvenate, away from the hustle and bustle of the city. Immerse yourself in a peaceful natural environment and let the stress simply wash away. Package is available Monday-Thursday for Lakeside Bungalow, Hill Station or Florries Cottage. Minimum 3-night stay Monday to Thursday. Add $195.00 to your accommodation cost to enjoy these rejuvenating Midweek Escape Package extras during your stay. If you’re just passing through or keen to get out of the city just for one night, take advantage of the time you do have by letting us take care of everything else. With dinner, bed and breakfast all included, you won’t have to worry about a thing. Package is available Monday-Thursday for Lakeside Bungalow, Hill Station or Florries Cottage. Add $135.00 to your accommodation cost to enjoy these fuss-free Dinner, Bed & Breakfast Package extras during your stay. Wander around our scenic property & beautiful cottages online. 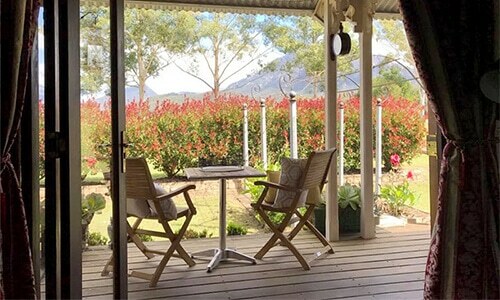 Just 1 ½ hours from Brisbane and the Gold Coast, Barney Creek Vineyard Cottages is the ultimate peaceful hideaway, situated right at the doorstep of the World Heritage-listed Mount Barney National Park. © Copyright Barney Creek Vineyard Cottages 2019. All Rights Reserved. Terms & Conditions. Website by Humanised.